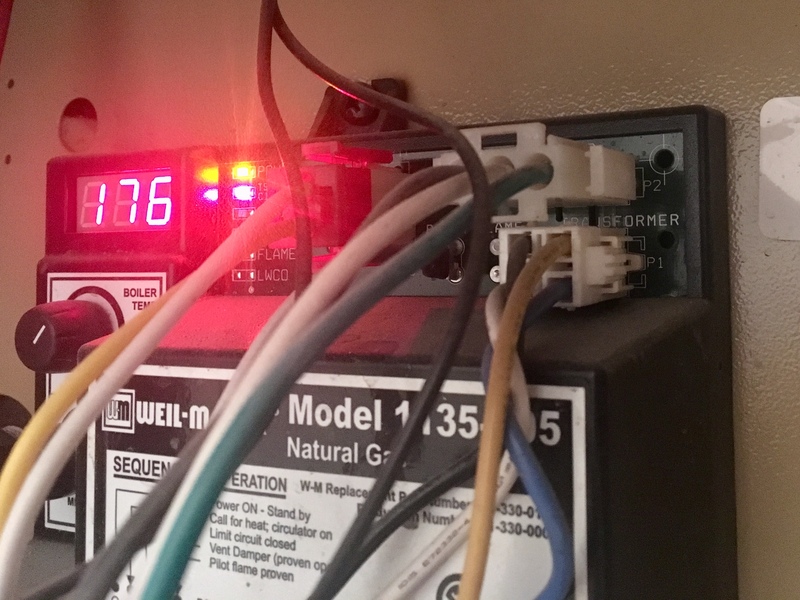 I have an old thermostat with only 2 wires connected to my Weil-McLain CGA Series 2 boiler. I would like to replace it with a Nest thermostat. I need to add a C-Wire in order for it to work. Luckily, the cable coming from my thermostat already has a 3rd wire that I can use. 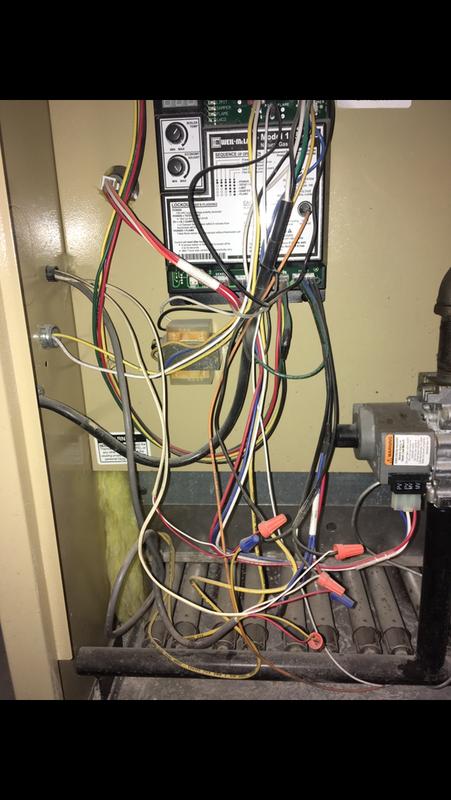 I just need to find where to connect the C wire on the boiler side. In attached picture, blue pen drawing shows existing wirings. 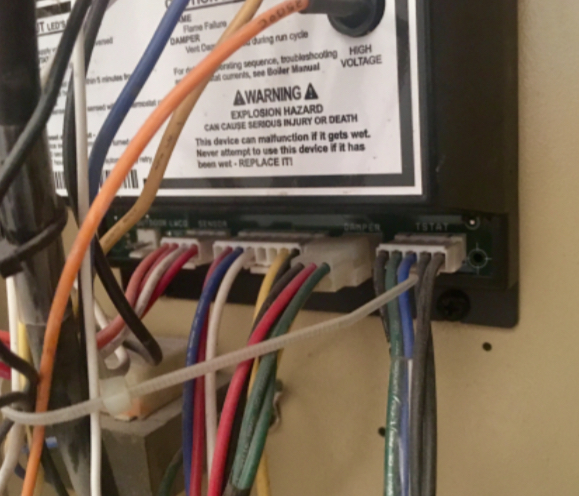 The Low Water Cut Off has 4 wires, and one is already connected to the C Common terminal. 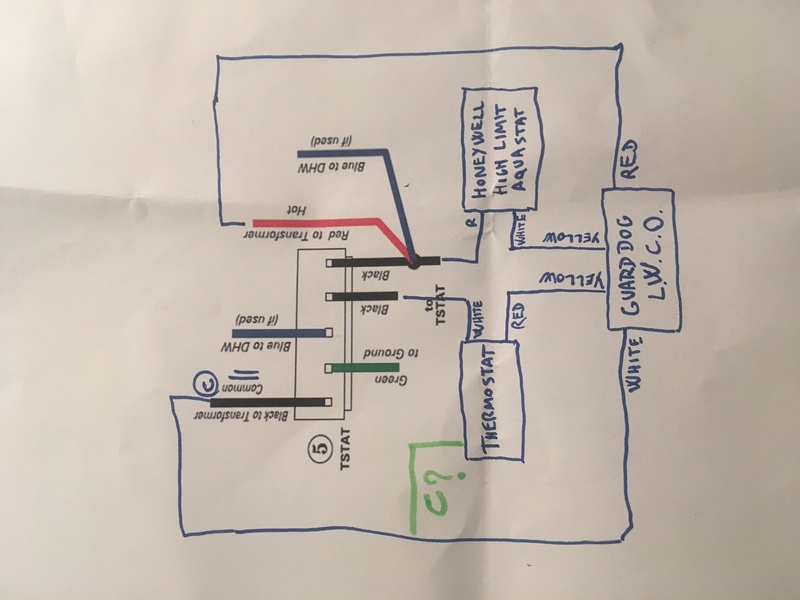 Can I just connect my thermostat’s C wire to the same terminal? (Green pen in drawing) Thanks! Aquastat is I believe Honeywell L4006E1067. Low Water Cut Off is GuardDog LB-24E. 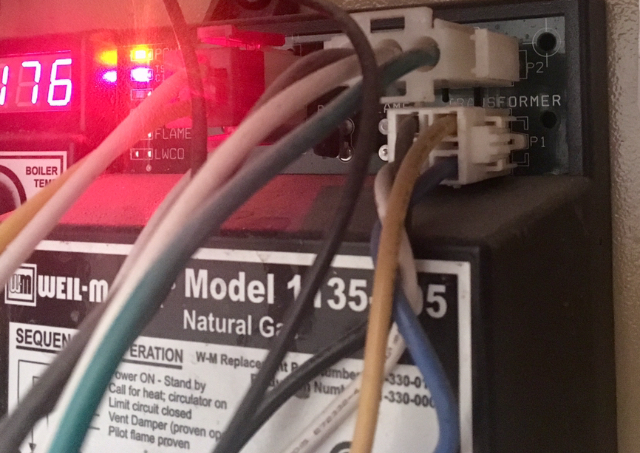 Orange and blue nuts connectors in picture connect all the above limits + thermostat in series to the thermostat connector on boiler. 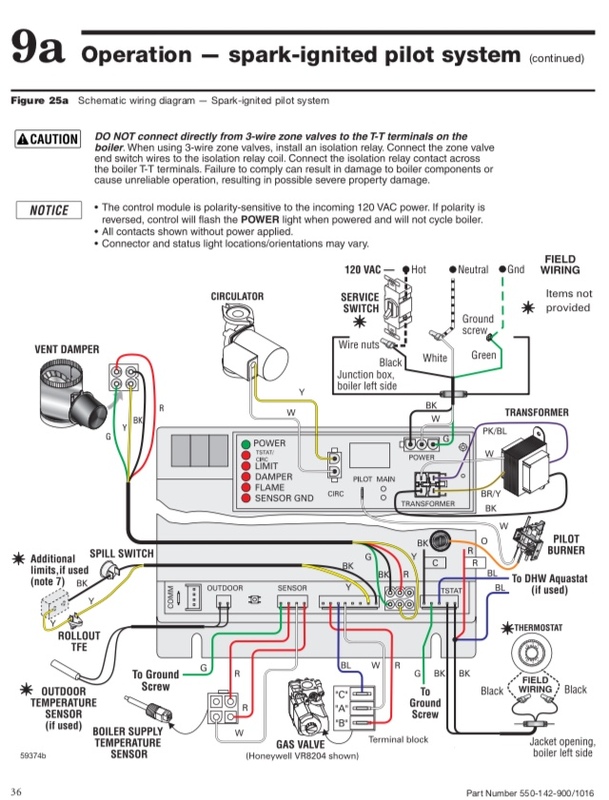 All other limits and external devices are mounted per manual diagram. 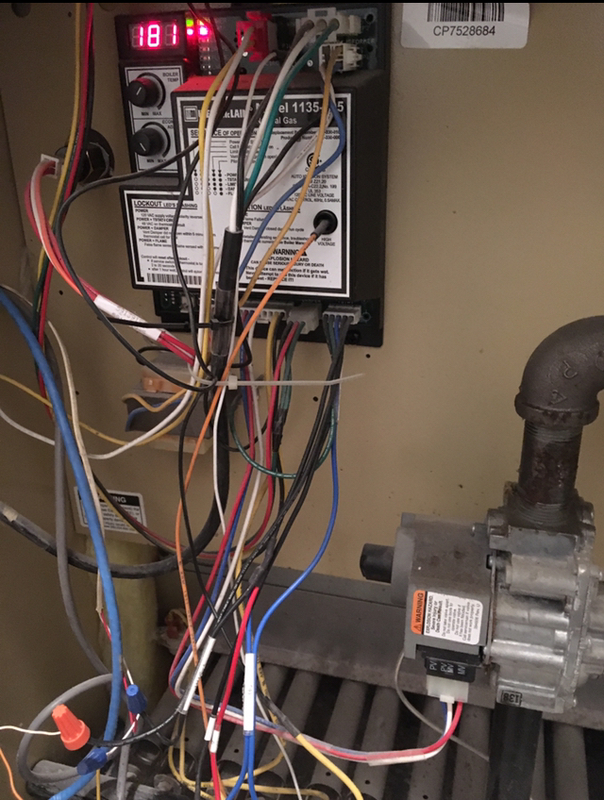 Browse other questions tagged thermostat thermostat-c-wire boiler wire or ask your own question.